Come join fellow Assemblers out for fun in the sun at Old Muscle Beach in Santa Monica! This public park is an important landmark of the personal fitness boon of the 20th century, and now serves as a fun outdoor gymnastics area. 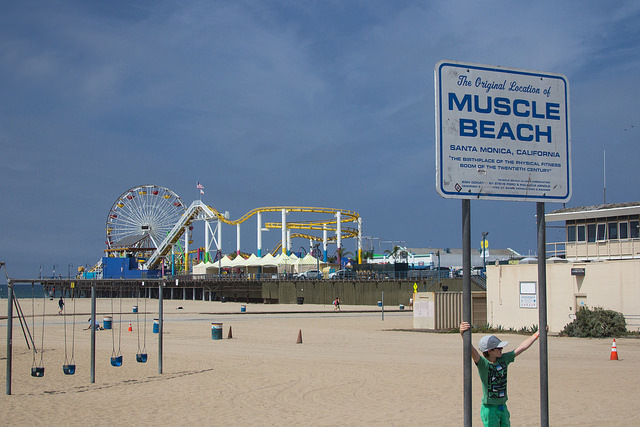 There is also a nearby playground and the legendary Santa Monica Pier within easy walking distance. At noon we'll all meet by the green lawn area near the tumbling rings and socialize for a bit before deciding what to do. Some options include playing beach games in the sand, trying out the various athletic equipment, or we can just walk up and down Ocean Front Walk and soak in the sights. Afterwards, we'll have lunch at one of the many eateries nearby. Paid parking can be found all around the beach. See you there!